Tia Rolfe (BA Hons) founded Selkie Jewellery in Late December 2015 with the help of Kimi Stewart, a talented photographer and conservationist, combining both their love for the ocean and handmade silver jewellery. 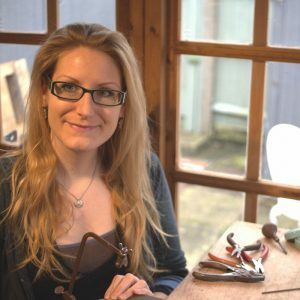 Tia is an artist and trained Jeweller; she studied Silversmithing, goldsmithing and jewellery making at The Kent Institute of Art and Design in Rochester. Together with a passion for the sea and inspired by the mysterious world of Selkies, she hand-makes jewellery for ocean lovers around the world!